Hewlett-Packard has reported an $8.9bn loss in its third fiscal quarter, with earnings 568% down compared with the same period the year before. 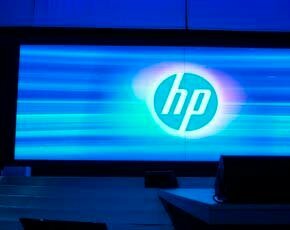 Hewlett-Packard (HP) was forced to write down the value of some assets, mostly related to its purchase of outsourcing company EDS, which HP acquired in 2008 for $13.9bn. HP also absorbed sizeable restructuring costs, as it looks to cut around 27,000 jobs, or 8% of its global workforce in the next two years. Analysts said HP is struggling to offset lower PC sales with services revenue like rival Dell, which this week warned that it expects third-quarter revenue to be down between 2% and 5% on second-quarter levels because of the uncertain economic environment. HP’s services revenue declined 3% year over year with an 11% operating margin. Technology services revenue was down 1% year over year, application and business services revenue was flat and IT outsourcing revenue declined 6% year over year. The Personal Systems Group (PSG) revenue was down 10% year over year with a 4.7% operating margin. Commercial revenue decreased 9%, and consumer revenue declined 12%. Desktop units were down 6%, notebook units were down 12% and total units were down 10%. "HP is still in the early stages of a multi-year turnaround and we're making decent progress despite the headwinds," said Meg Whitman, HP president and chief executive officer. "During the quarter we took important steps to focus on strategic priorities, manage costs, drive needed organisational change, and improve the balance sheet. We continue to deliver on what we say we will do," Whitman said in a statement. HP said net revenue in the third quarter fell by 5% compared with the same period the year before to $29.7bn. The company’s software group was the only one to report revenue growth. Software revenue grew 18% year over year with an 18.0% operating margin, including the results of Autonomy. Software revenue was driven by 2% licence growth, 16% support growth, and 65% growth in services, HP said.